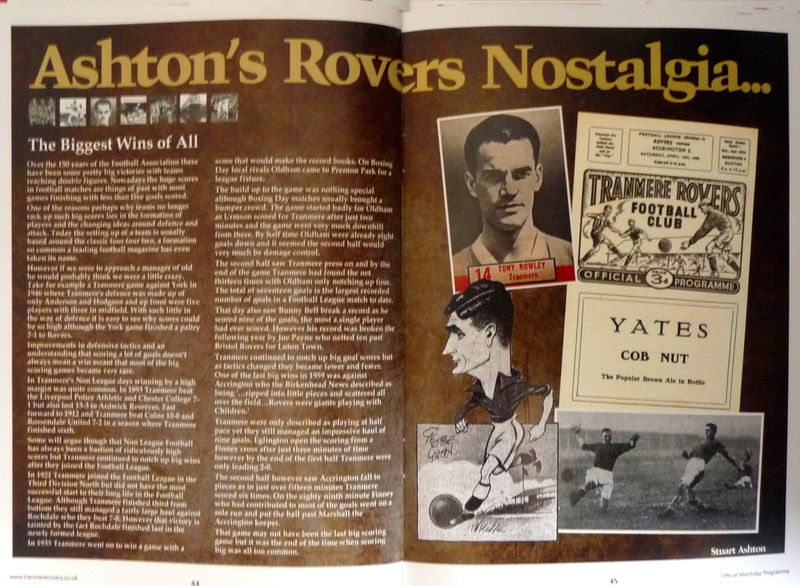 This blog was created by the author of Ashton’s Rovers Nostalgia featured in the match day programme Rovers Review. The aim of this blog is to take moments in the story of Tranmere Rovers which may have been forgotten or remembered only by a select few and to retell these amazing moments to the fans and community of the Birkenhead and maybe even beyond. Stu Ashton is also a qualified Archivist with an interest in Sports Heritage and is always looking to get more involved with any club’s history. He also can offer advice on how best to store collections and how best to use the material in schools and in the wider community. Stu also undertakes paid research for individuals or organisations looking to find out more about a topic. If you would like to contact Stu please comment below and he will get back to you as soon as possible. 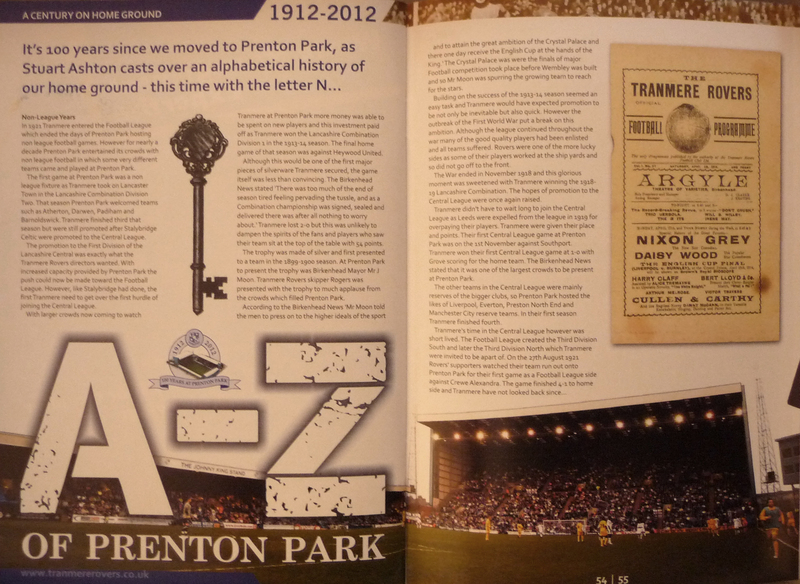 Below are examples of the work I have completed for Tranmere Rovers Football Club. What a great website! Very well written, interesting articles that I have never come across before despite being a life long Rovers fan with a passion for tracking the history of the club. Thanks Jon! Always nice to hear i’m bring new stories to the History of Tranmere! Fascinated by the articles on The Aintree Ladies team, my Great Grandfather- ‘Bee’ was a reporter on the Post and Echo and I wonder if he wrote the match articles that are mentioned? I would like to read these in full as I am researching Munition worker’s teams for a play that I am writing. I would be grateful if you could send me a link to the listings of the auction items. Dear Stu, fascinating article. I’m a photographer working on a project to photograph the sites of old football grounds. Is there any other material on the Cavendish Street ground? Are the locations of the other grounds, Bedford Park, Chester Street, and Engineers Parade known?